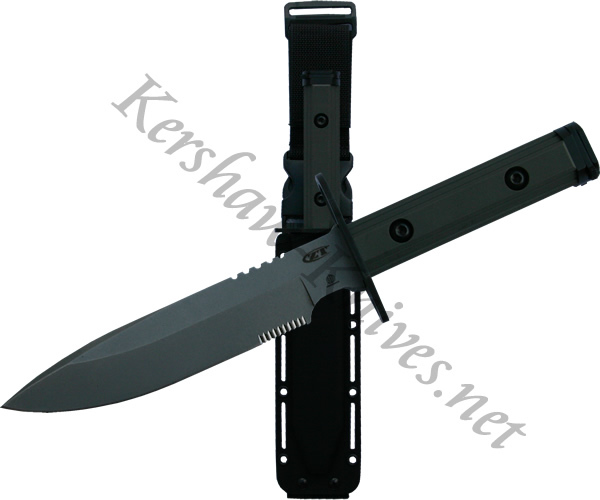 This Kershaw Zero Tolerance Bayonet model ZT-9 is built from a full tang, 0.25 inch thick piece of S30V stainless steel. The handle is made of textured G10 to give you good grip even when it is wet. A high-impact polymer sheath is included that can allow the bayonet to be mounted in an up or down position.